Dedicated gaming fans can create high-quality fan art from pretty much anything. Even squash. Squirtle and Charizard come from the DeviantArt page of joh-wee, who has a truly astonishing array of carvings on her site (along with other art). Garrus is a painstaking work by Mass Effect fan and tumblr user weemiji, who created it as a follow-up to a Thane pumpkin from 2011. And last, but certainly not least, the pumpkin homage to Dragon Age comes from BioWare fan Karissa Barrows, who shared it on Twitter. These amazing jack-o-lanterns are just a few of the fantastic gaming homages that show up on front stoops and online around Halloween. 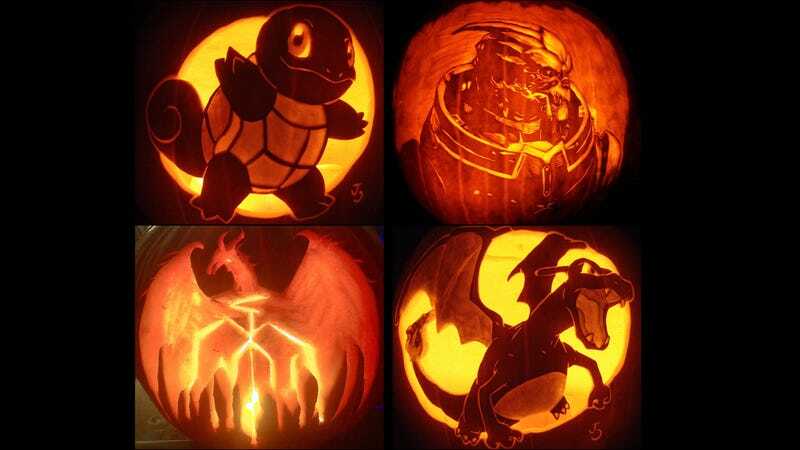 What are the coolest gaming-themed pumpkins you've seen—or made? Show us images of your favorites (and handwork) below!